It seems like the cost of heating my home has gotten out of hand. Every year my bills get higher and it feels like I am throwing money away on heating my home. Did you know that the typical cost to heat a home is between $300 and $500 a month?! I live in an old colonial that I love, but heating this home is expensive because it is not properly insulated. I wanted to find ways to decrease the cost of heating my home, so I decided to do a little research. First, I wanted to find where I was losing heat in my home, coincidentally I was asked to review a great product that does that. The product is called BlindSpotz. 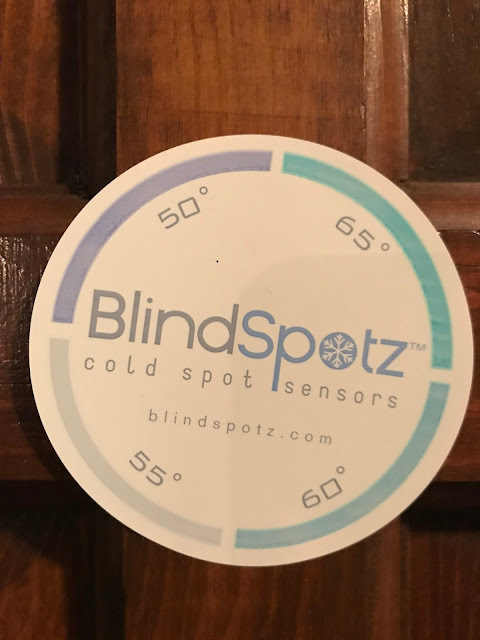 BlindSpotz are designed to help you realize where you are losing heat in your home. It is an easy process to use. 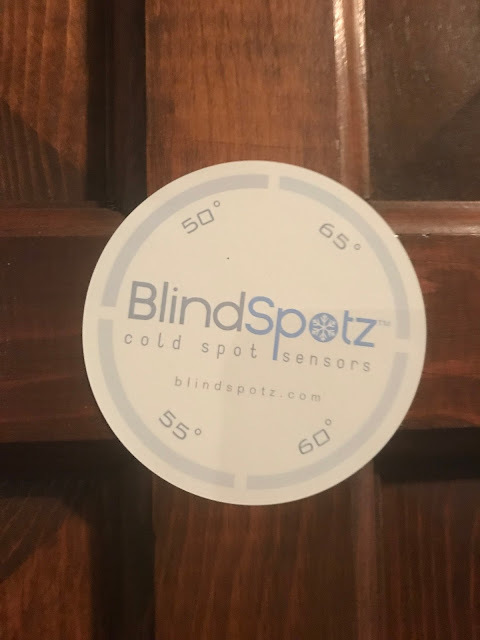 The BlindSpotz kit comes with sticker sensors that are to be placed around the home in areas that you think you may be losing heat. These areas would be closets, doors, walls, and ceilings. After 48 hours, the sensors should change to show how much heat you are losing in the room. I simply take a photo of the sensor and email it to BlindSpotz, and within 48 hours they reply to me with a variety of solutions to help fix my energy loss problems. They also send me valuable coupons to local retailers and contractors that can help fix my problem. 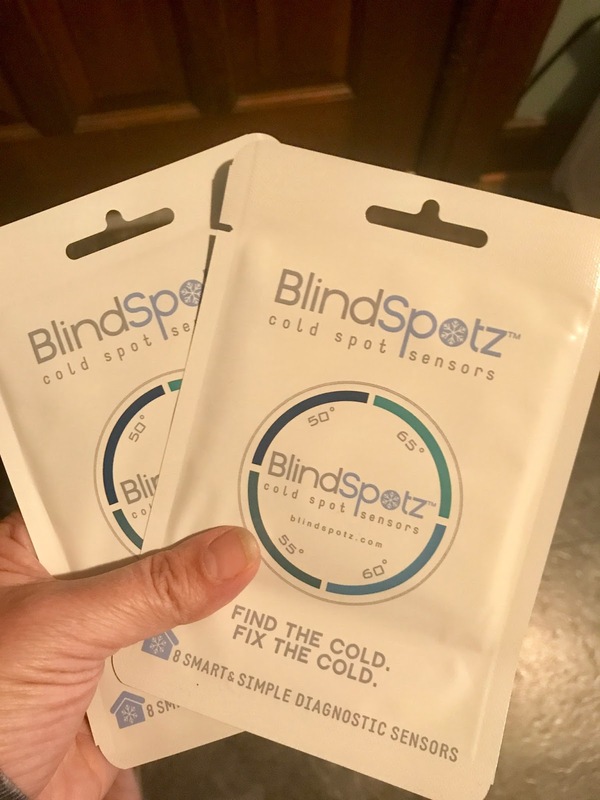 I love how simple the BlindSpotz process works and how quickly they reply with solutions to help me improve heat loss problem in my home. It is a completely new way to think about home efficiency testing. I love that I can do it myself and get obvious results and solutions from them. 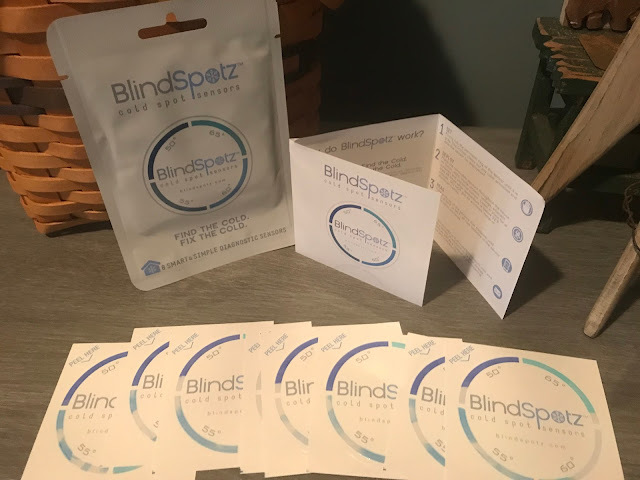 Each BlindSpotz kit comes with 8 sensors. This is more than enough for me to place around my home. Disclosure: This is a sponsored post written by me on behalf of Review Wire Media for BlindSpotz. This post contains affiliate links. I think that most of our heat is lost through our sliding glass door. It is always drafty. I get that too Elizabeth. Very interesting. I've never heard of these, but they sounds like a great tool to help lower heating bills. They were new to me too Krystal. What a cool product! Finding way to lower bills is always a plus! I do think I am losing heat through my living room window. These BlindSpotz can detect if you are. They did for me. Awesome tips. I should definitely try this!!! We just purchased a new house and this would be so great for knowing where we need to prioritize fixing our drafts! Wasn't aware of this product before,i would love to find out where I am losing most of my heat. My heating cost are through the roof.